Bundle a soap and candle in this set topped off with a wooden gift box. 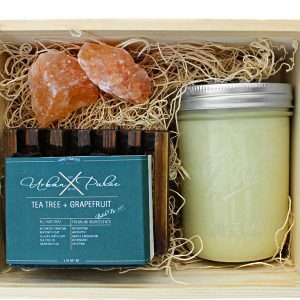 Treat yourself or spoil a friend with the gift of pure, natural skin care and aromatherapy. Formulated to nourish both your mind and body with essential oils, butters and clay. All of our candles are made with soy wax providing a clean burn free of toxins and chemicals. And a wooden wick to provide ambiance reminiscent of a crackling campfire. Enjoy! Cocoa butter is known for reducing signs of aging, stretch marks and scarring. High in fatty acids to hydrate and improve skin elasticity. 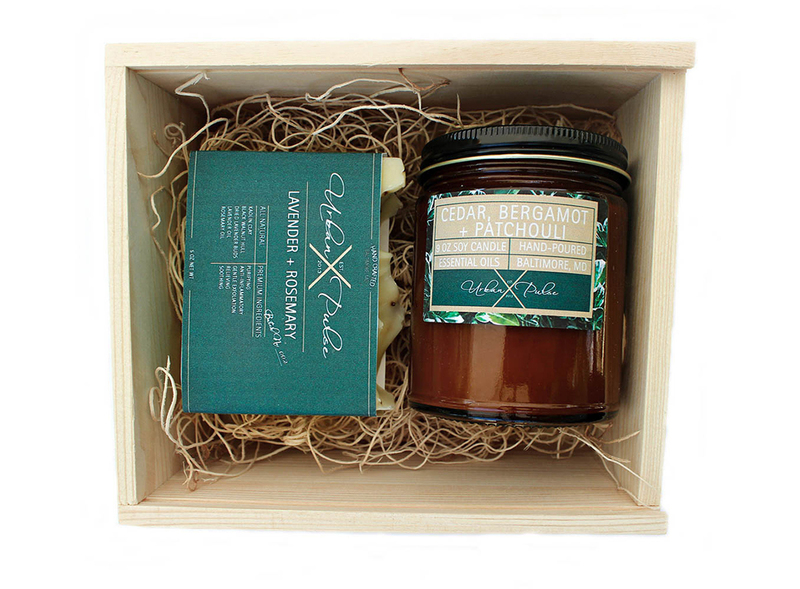 Pure soy wax provide a clean, natural burn free of harmful toxins, carcinogens and pollutants. Coconut oil is naturally antibacterial and has a high fatty acid content, leaving skin silky smooth. 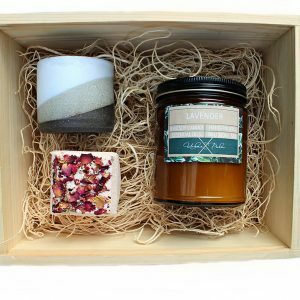 Gift Sets Includes: (1) 5 oz soap bar of your choosing and (1) 9 oz soy wax candle of your choosing in a wooden gift box with detailed product descriptions. Candle Burn Time: Approx. 60 hrs. 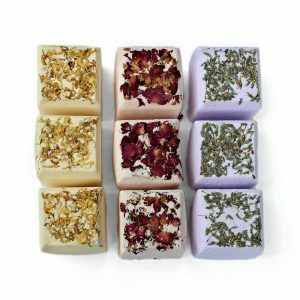 Handmade All-Natural Products: All products are truly natural and vegan friendly. No artificial ingredients, fragrances, colorants, parabens, SLS or phthalates used. Due to the handmade nature of our products the color and shape may vary slightly. Got this as a gift, and it was incredible! The scent was an amazing choice and the packaging was very professional. This shop delivered in every way, and the owner kept in contact the whole time. Will definitely be shopping here again.